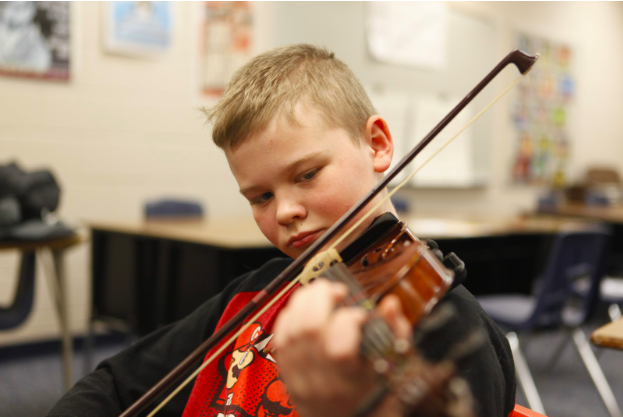 Ten-year-old Ricky Bristol plays his violin at Boyne City Elementary School. He's been practicing his instrument almost every day while competing in the March Madness Practice Competition. David Reimer is the music director for the Dorothy Gerber Strings Program. 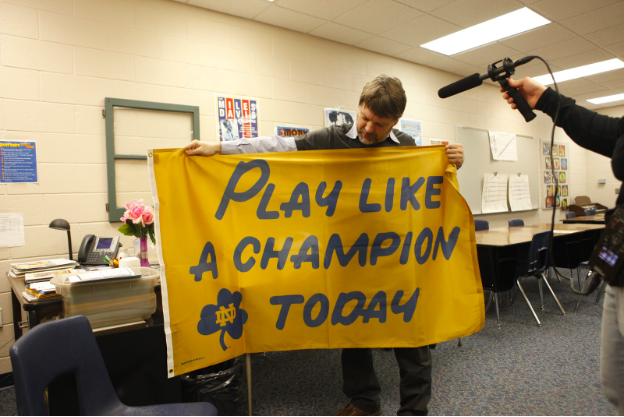 He uses sports to inspire his students to establish good practicing habits. David Reimer is trying to create a culture of commitment and intensity for his young music students. Using the sports world for inspiration, he’s started a music practice competition called March Madness. Hear how the competition is motivating his students. 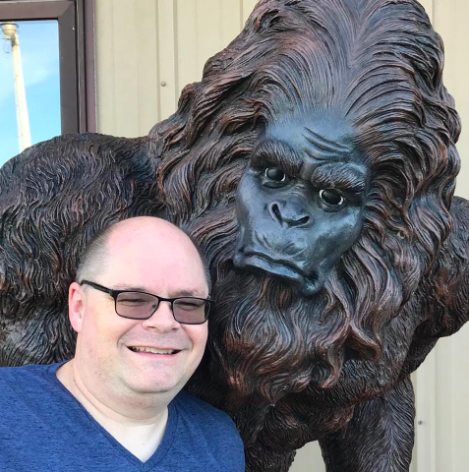 Marty Achatz poses with a Sasquatch statue. He is working on a collection of poems that all have Bigfoot in them. Marty Achatz is the first ever Upper Peninsula Poet Laureate to be awarded the honor for a second consecutive time. He writes poems filled with the imagery of the Lake Superior and the natural world in the U.P. Learn more about Achatz's poetry, including one poem about Bigfoot. In a future episode of Points North, we'll hear about one county's efforts to make schools safer. That got us thinking, do you feel your kids are safe at school? Does your school do enough to ensure their safety? Call to comment at 231-276-4444, send a voice memo to ipr@interlochen.org or comment below. Corrections: A previous version of the show identified the detective from the Charlevoix County Sheriff's Office as Travis Miller. His name is Travis Williams. We also incorrectly pronounced the name of Marty Achatz.